Americas Alcohol Certified Education Association (AACEA) is the first online alcohol server training provider to be approved by the Washington State Liquor Control Board. The founder of AACEA, Len Riggs is the founder of Len Riggs Alcohol Server Training (LRAST) and has operated in Washington State since 2001. This online alcohol training and certification program has also been approved by the OLCC’s Alcohol Server Education Program. “When I first became certified by the WSLCB I can remember reading the approval letter and thinking “Now what?” I started out with a shoe string budget, rolled up my sleeves and went to work. I had one goal in mind and that was to become the number one provider in Washington. When I mentioned that goal I was met with a lot of skepticism.” said Len Riggs, founder of AACEA. “As I began my quest I found myself digging deeper into the culture of alcohol service and could see where I could make a difference by teaching those in my class with more than just enough information to pass the test and get their permit.” Riggs continued. Riggs submerged himself into the LCB Rule book and asked a lot of questions. He believed that if he was going to teach it, he should know what he was talking about. Then came the stories of the impact of DUI and the lives that drunk driving has shattered and continues to shatter. “When I teach a class or when I train a trainer for AACEA / LRAST, I do my best to get the fact across that they (the student) can make a difference and save lives. Many times I have been contacted by past students who either went through a class that I taught, or through one of our trainers to thank us for teaching us what we taught.” said Riggs. The AACEA Program was written with the same dedication. Wisdom from many years of working in the Hospitality Industry, humor and a basic understanding of the LCB Rules, make the AACEA Program what it is. 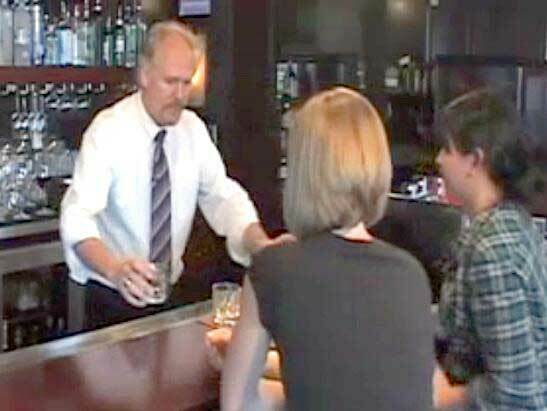 A few years ago LRAST became the number one Provider in Washington State and issued twice as many alcohol server permits as the next closest Provider. It is with the same dedication that LRAST was built on, “Customer Service and Comprehensive Education” that AACEA will move forward with. To register online for an alcohol servers permit in Washington visit www.aacea.com.